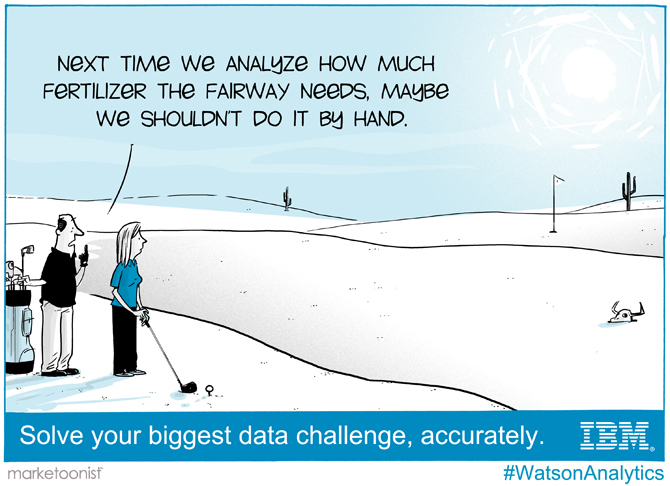 IBM launched Watson Analytics to give people the benefits of advanced analytics without the complexity. 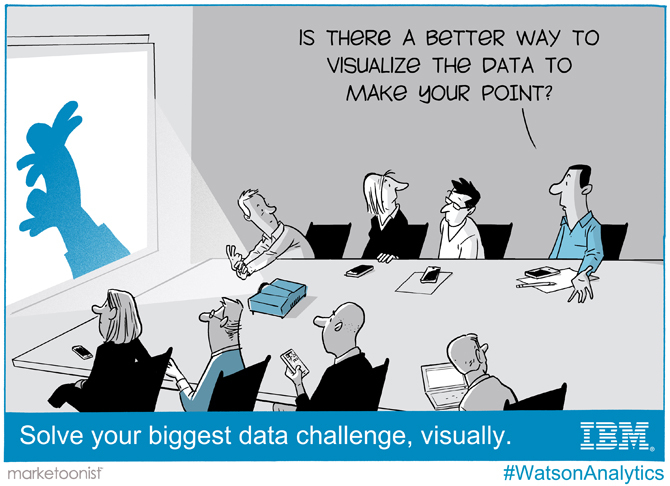 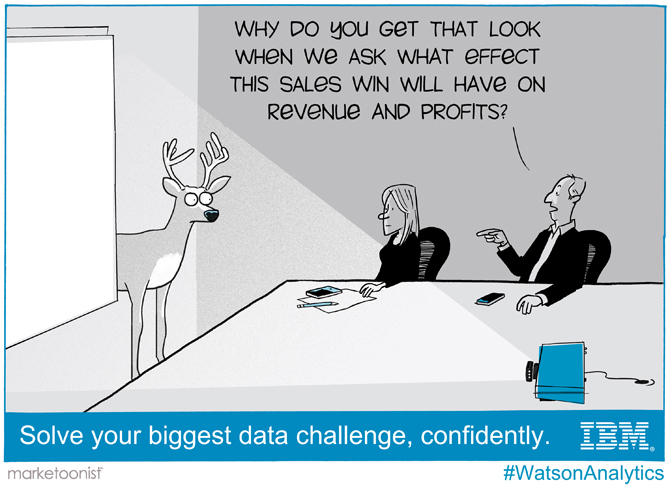 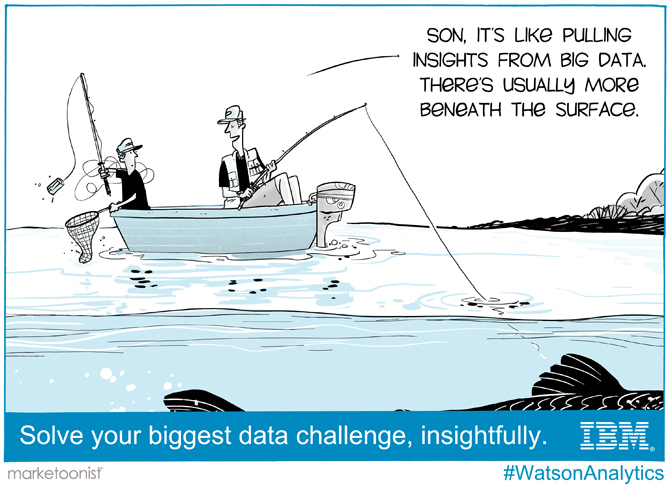 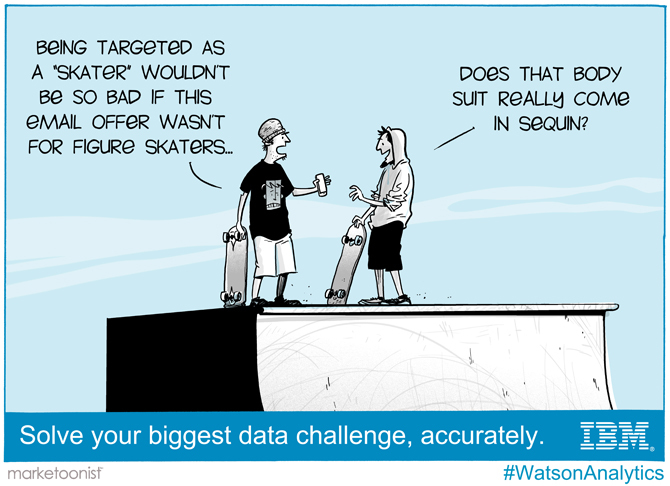 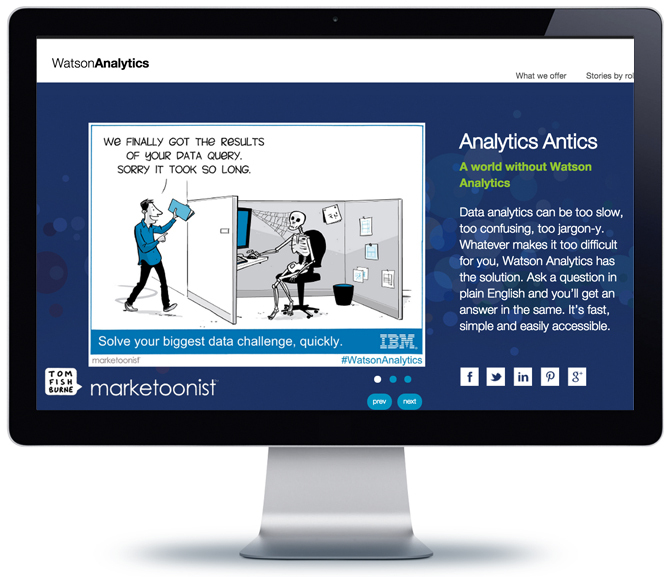 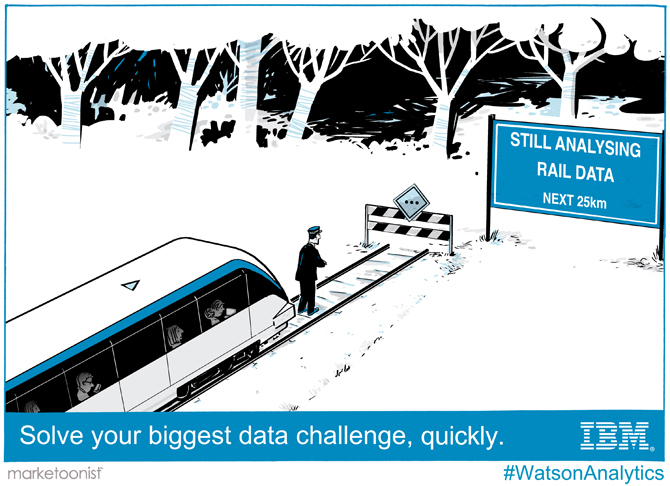 To introduce this powerful new software, we developed a marketoon series that illustrates a range of data challenges that Watson Analytics helps solve. 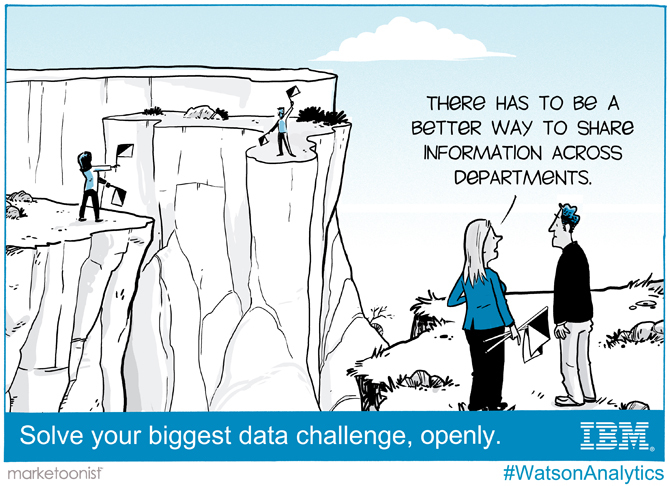 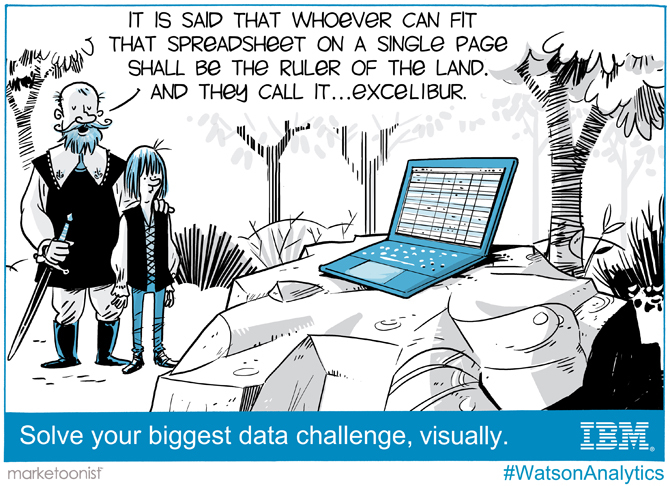 We then asked IBM customers to share their own unique data challenges. 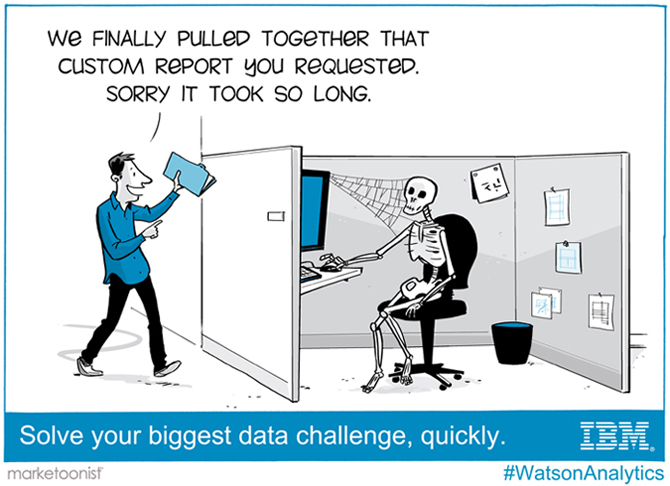 We selected our favorites and illustrated those as cartoons that would be relevant to all customers. 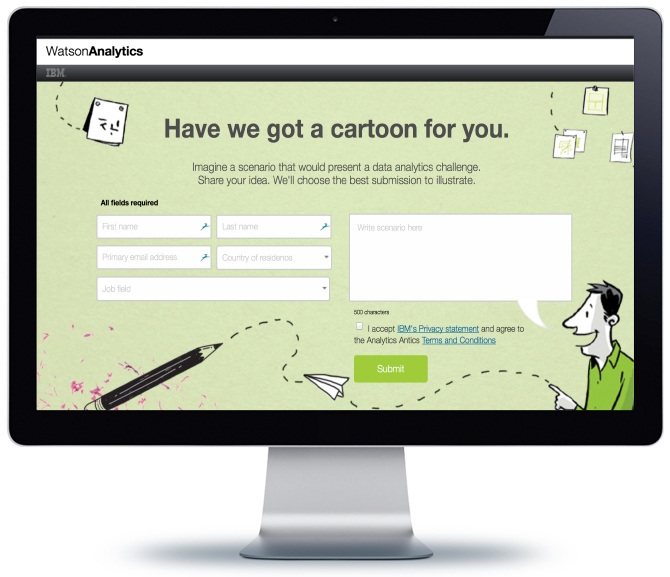 The cartoons live on a dedicated microsite called “Analytics Antics”. 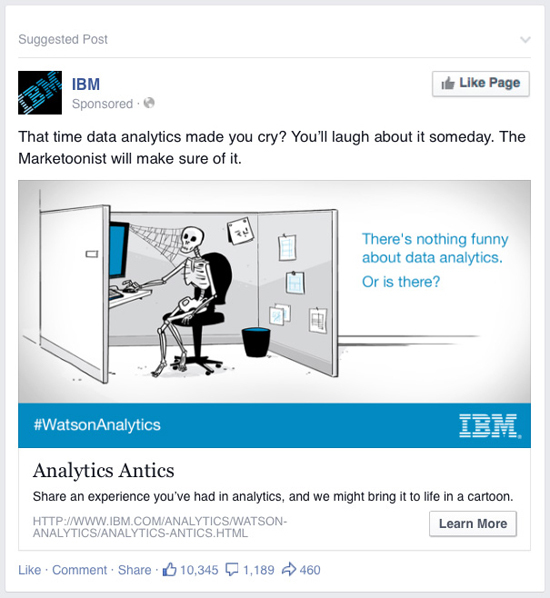 IBM amplified the reach of the cartoons through paid social.